My youngest just isn't quite big enough to maneuver a bike with pedals. He gets so upset when he sees big brother wheeling around the driveway. We needed something that he could manage and enjoy. We found the Wheely Bug! Isn't it adorable?!! Little H can now keep up with his big brother! It is so cute to watch his little legs make that mouse go. Let me tell you he can get some speed up on that thing. It is small enough to take with us and he rides on it inside too. If you are looking for something for your younger set to ride on check out the line from Prince Lionheart. The Wheely Bug comes in several different characters and is made of very durable materials. 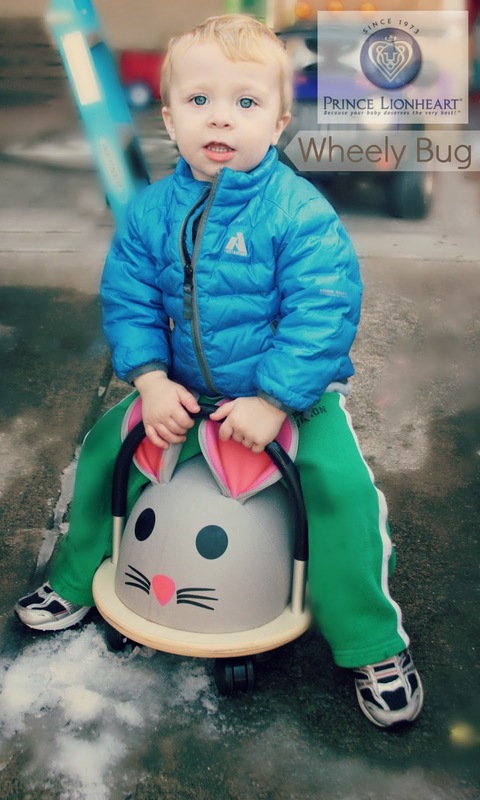 Its wide base makes it sturdy for little ones as they get on and off. It is also safe to us indoors and wont scratch your floors. You can purchase a Wheely Bug at Prince Lionheart website. Also, connect with Prince Lionheart on Facebook and Twitter to enter their regular giveaways and keep up with new product news!